SoapLab Malaysia: Can Using Too Much Essential Oil Cause Toxicity? 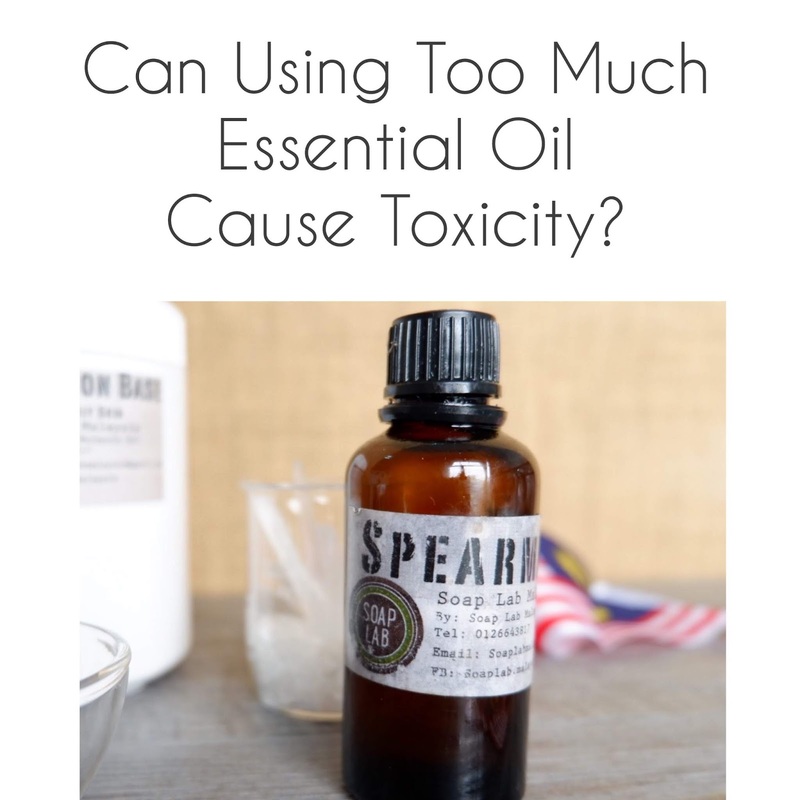 Can Using Too Much Essential Oil Cause Toxicity? Today ill be talking about essential oils and wether if used more than recommended ‘dose’; would it cause toxicity. Now essential oils are plant based and mostly extracted out from plant’s oil. Since most essential oils are from plants; people have this perception that its safe because its natural. Well its not entirely true. According to the Poison Centre (USA); essential oils (depends on seller) are mostly sold undiluted; and when used more than recommended dosage or too much can cause many problems such as liver toxicity, kidney toxicity and pneumonia. Now bare in mind these toxicities usually happens when its ‘ingested’, not when applied to skin. However there are some studies that shows that when you apply these EO on babies skin below 1 year old, can cause these problems too. Ive written an article on this before here about the danger of using essential oils in babies so do check it out. For adults; applying too much on skin; probably wont cause these reactions as our skin is already made to protect our internal organ from the ‘outside exposure’. Worst case; you will get rashes. Now having said that; these eo are not tested widely on people (clinically) and most are ‘hear say’ therefore; it may vary from people to people the way they respond to these eo. Eo has many ‘components’ and different species from different country has different components. So be cautious on what or how you use it. Example for me; im ok with peppermints and lemongrass scent, but too much of jasmine makes me have difficulty in breathing. The same goes with citrus based essential oils. Like lemon, lime, orange, grapefruit and bergamot; these when use in our hot weather in Malaysia causes skin burn. So if these are the reactions you are getting using these eo; make sure you use a strong SPF protection daily.